On this site, May 23, 1971, with a gathering of enthusiasts for personal human flight, began the Worldwide sport of Hang Gliding. Location. 33° 37.088′ N, 117° 51.182′ W. Marker is in Newport Beach, California, in Orange County. Marker can be reached from San Miguel Drive 0.3 miles north of Port Sutton Drive, on the right when traveling north. Touch for map. 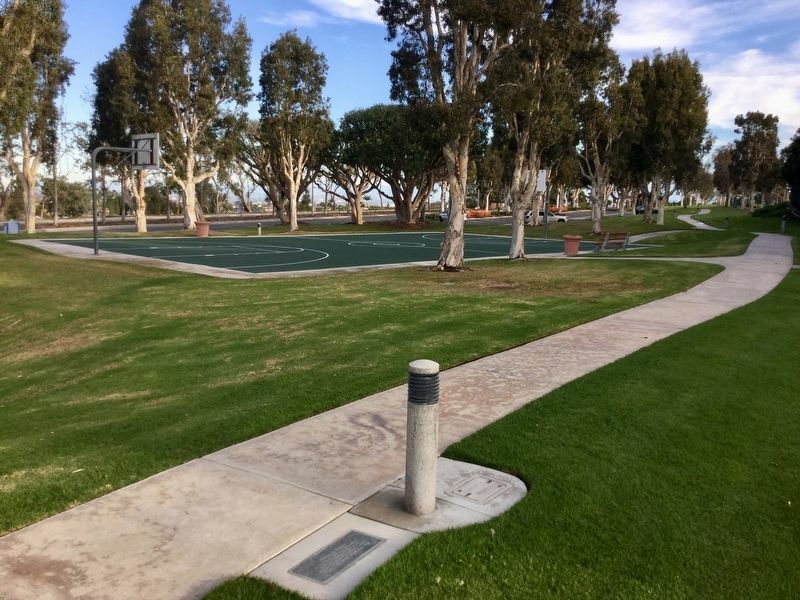 Located in San Miguel Park, south of the basketball court. 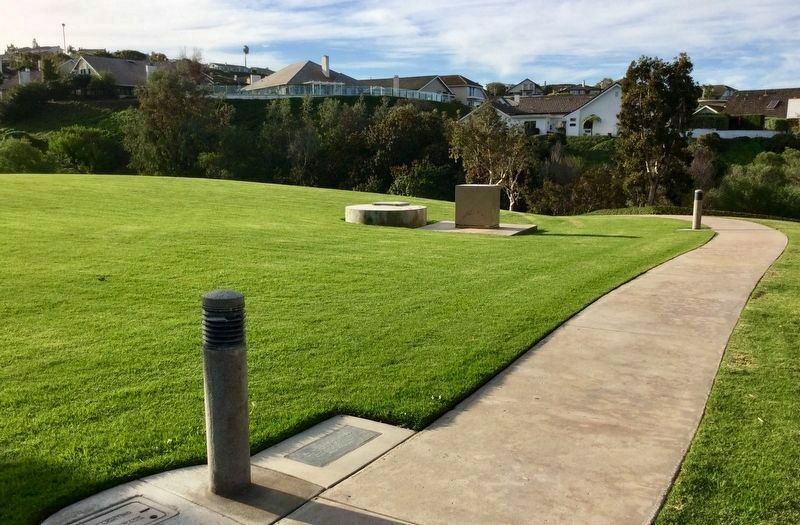 Marker is at or near this postal address: 2200 San Miguel Dr, Newport Beach CA 92660, United States of America. Touch for directions. Other nearby markers. At least 8 other markers are within 4 miles of this marker, measured as the crow flies. Site of 3rd National Boy Scout Jamboree (approx. 1.7 miles away); First Ferry Service Between Balboa and Balboa Island (approx. 2.8 miles away); Balboa Pavilion (approx. 2.9 miles away); Balboa Village (approx. 2.9 miles away); First Water-to-Water Flight (approx. 2.9 miles away); Rendezvous Ballroom (approx. 3 miles away); Crystal Cove Historic District (approx. 3 miles away); The Salt Works (approx. 3.1 miles away). 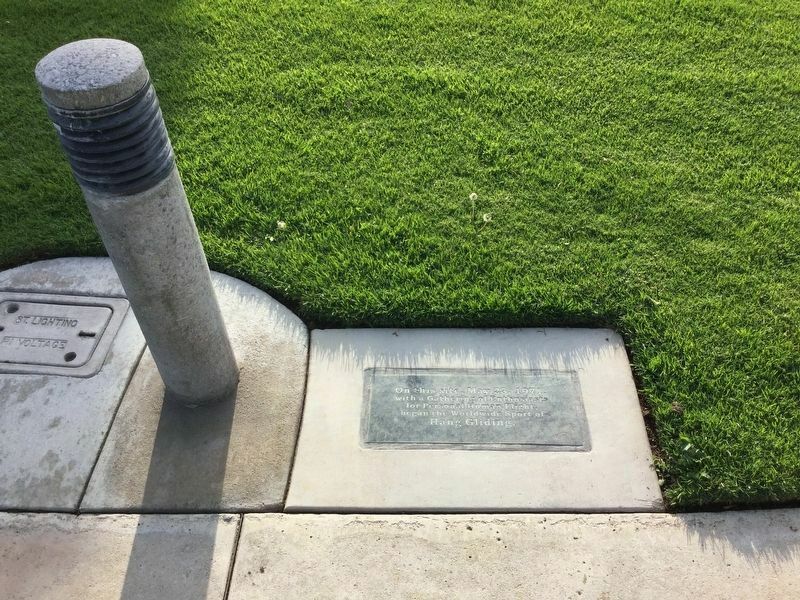 Touch for a list and map of all markers in Newport Beach. gathered here in 1971 to fly and celebrate the 123rd birthday of pioneer flyer Otto Lilienthal. Over 500 spectators attended. News media coverage of the event popularized the new sport. Related marker. Click here for another marker that is related to this marker. 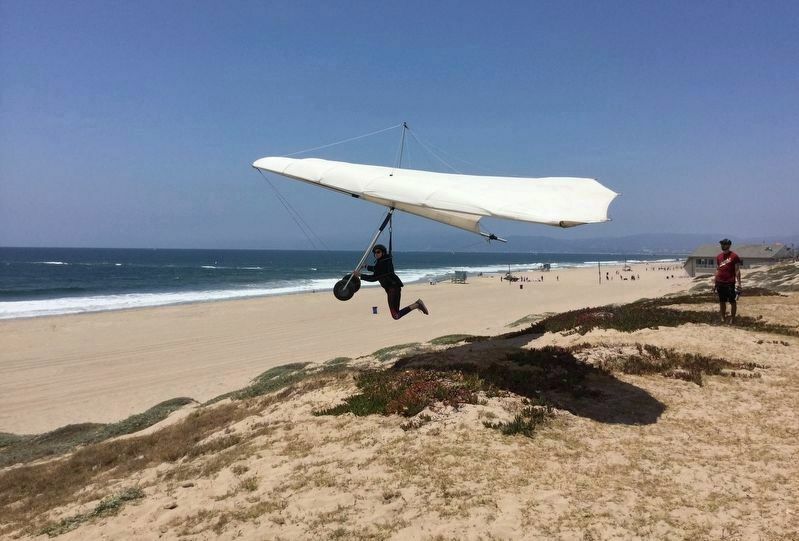 Dockweiler Hang Gliding Center is the current location of the annual Otto Lilienthal celebration. Looking back at the basketball court, parking lot, and street. The residential neighborhood in the background is the hill where pilots flew in 1971 before the homes were built. 5. 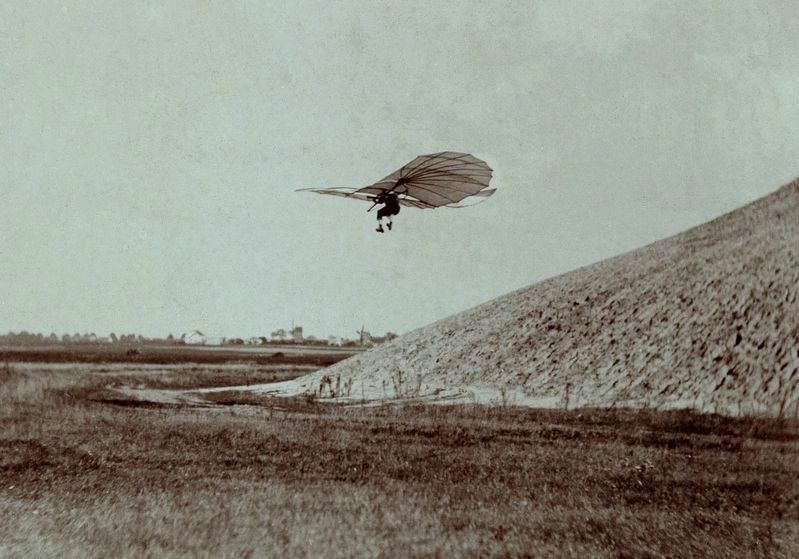 Otto Lilienthal flying in Germany, in 1895. More. Search the internet for Hang Gliding. Credits. This page was last revised on October 23, 2018. This page originally submitted on February 18, 2018, by Craig Baker of Sylmar, California. This page has been viewed 62 times since then and 8 times this year. Last updated on October 23, 2018, by Craig Baker of Sylmar, California. Photos: 1, 2, 3, 4, 5, 6. submitted on February 18, 2018, by Craig Baker of Sylmar, California. • Andrew Ruppenstein was the editor who published this page.